The antiserum was produced against synthesized peptide derived from internal of human 5-HT-2B. 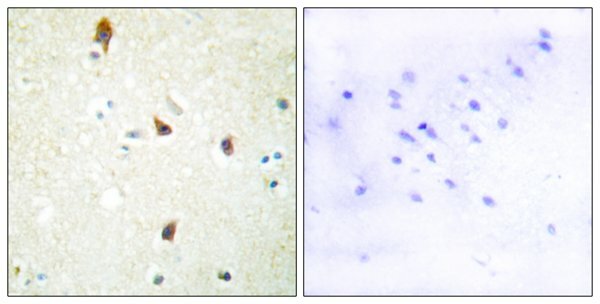 Immunohistochemistry analysis of paraffin-embedded human brain tissue using 5-HT-2B antibody. 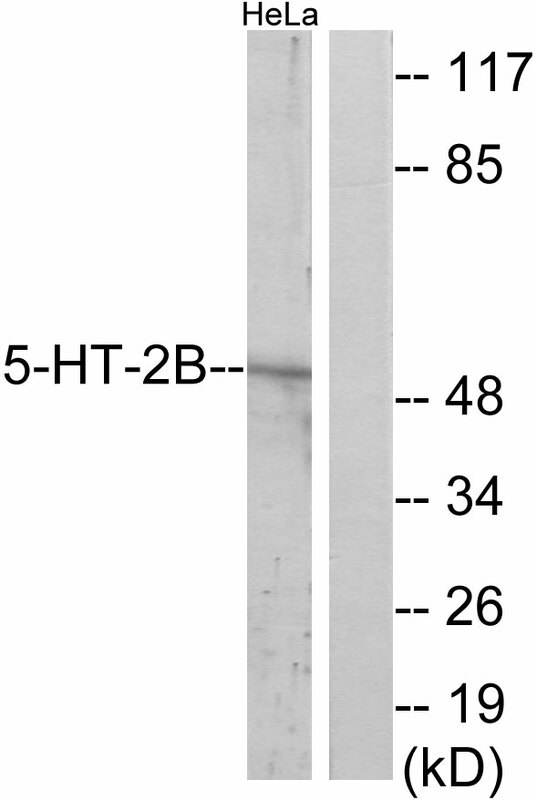 Western blot analysis of extracts from HeLa cells, using 5-HT-2B antibody. 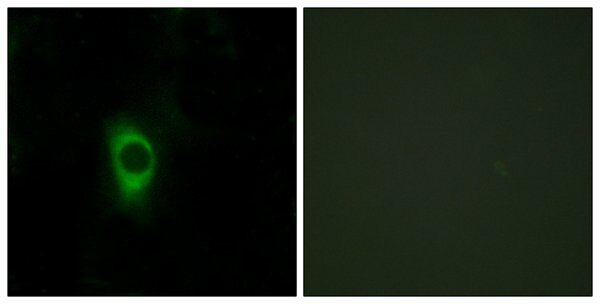 Peptide-+ Immunofluorescence analysis of HeLa cells, using 5-HT-2B antibody. Schmuck K., FEBS Lett. 342:85-90(1994). Choi D.S., FEBS Lett. 352:393-399(1994). Kim S.J., Mol. Cell. Probes 14:47-52(2000).